Eligibility: Candidates having M.Sc./M.Tech degree (with minimum of 60% marks overall) or equivalent in Bioinformatics/Biotechnology/Life Sciences or any other related field are eligible to attend. Candidates having prior experience in the area of next-generation sequencing data analysis, web-servers and database development, and big data analysis will be preferred. Eligibility: Candidates having M.Sc./M.Tech degree (with minimum of 60% marks overall) or equivalent in Bioinformatics/Biotechnology/Life Sciences or any other related field with two year research experience in bioinformatics are eligible to attend. Candidates having prior experience in the area of analysis of NGS including RNA-Seq data will be preferred. The fellowship amount for the above positions is at par with the similar fellowships by DST/DBT. The above positions are completely on temporary basis and co-terminus with the project/scheme. The initial appointment will be for one year or till the tenability of the project/scheme whichever is earlier, which can be curtailed/extended on the basis of assessment of the candidate’s performance and discretion of the Competent Authority. NIPGR reserves the right to select the candidate against the above post depending upon the qualifications and experience of the candidate. Reservation of posts shall be as per Govt. of India norms. The position may be terminated any time by giving one month notice by either side. The applicants will have no claim implicit or explicit for consideration against any regular position of NIPGR. 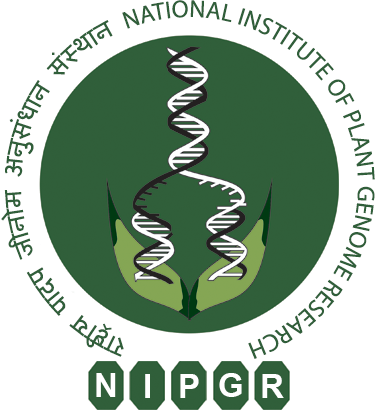 Eligible candidates may appear for walk-in-interview at National Institute of Plant Genome Research (NIPGR), Aruna Asaf Ali Marg, New Delhi-110067 on November 16, 2018 (Friday) at 09:30 a.m. along with complete bio-data. 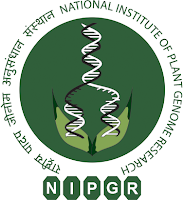 The duly filled application form must be submitted at the time of registration at NIPGR from 09:30 a.m. to 10:30 a.m. on November 16, 2018. Any candidate reporting after 10:30 a.m. will not be entertained for walk-in-interview. The candidate must ascertain their eligibility, as ineligible candidates will not be interviewed. All the candidates are requested to appear for the interview with full bio-data, original degree certificates, experience etc and to submit a copy of the relevant documents with biodata. Canvanssing in any form or bringing influence, political or otherwise, will lead to disqualification of the candidate(s).